My favorite thing about performance archives is that they show the collaborative nature of artistic creation, belying the myth of a lone genius. 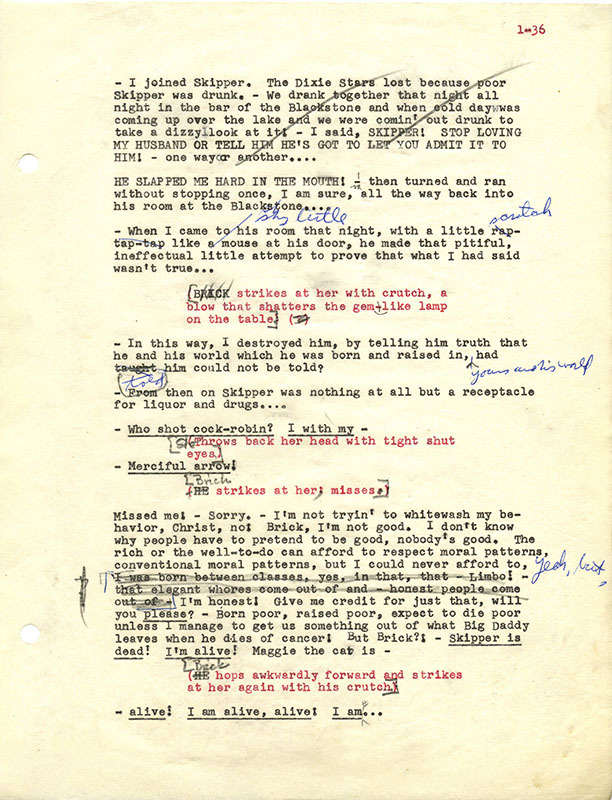 As Williams’ copy of the production script, this manuscript bears traces of the cast and crew’s influence. Director Elia Kazan pressured Williams to heavily change the third act, resulting in a sorely needed hit. It’s also the script Williams and his editors at New Directions (whose records are held at Houghton) marked up for the published text. Blue ink indicates changes made by Williams, penciled edits the New Directions staff.